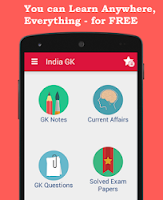 Current Affairs MCQs of 13 July 2015: Current Affairs Daily Multiple Choice Questions (MCQs) for India GK, World GK and current affairs with Collection of daily objective type Question by www.Indiagk.net based on General Knowledge (GK) and General Science (GS) Questions for UPSC, State PSC, SSC, Police exam, Railway exam, SBI, Bank PO, IBPC, SSC, LDC, UDC, Army, Airforce, Navy, Coast Guard, Bank Clerk, TET and all entrance examination with current affairs News, Multiple Choice Questions (MCQs) available on Website www.IndiaGK.net and Android Apps with daily updates:. Retail inflation rose to eight-month high of ............ % in June 2015 ? Wimbledon 2015 Boys’ Doubles Title winner is ? Satellite Based Augmentation System launched by Civil Aviation Minister on 12th July 2015 was ? 55th India International Garment Fair begins on 12th July 2015 at ? India sign Memorandum of Understanding on Electoral Cooperation in July 2015 ?